Nothing will turn your special event into an experience like live music. As a Houston based saxophone player and DJ, I have provided musical entertainment for events across the country for more than 10 years. 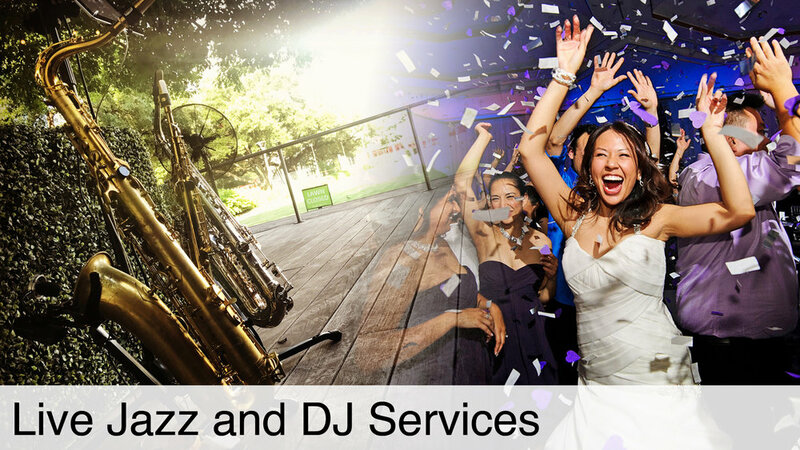 Whether you need live jazz saxophone performing for your dinner party or a DJ to keep your wedding or corporate event guests entertained and your evening activities flowing as you envisioned, I’ll provide all the musical needs for your special day from start to finish. Why book multiple entertainers when you can find everything you need from one? From live jazz to DJ, I've got you covered. My rates are very reasonable, my equipment is modern and sounds fantastic, and I personally guarantee you and your guests will enjoy my entertainment or your money back. Don’t just take my word for it. Listen to some of the audio examples below and read some of my reviews. When you’re ready to book your event, simply fill out the contact form and I’ll be in touch within 24 hours. Thank you so much for considering me for your entertainment needs. 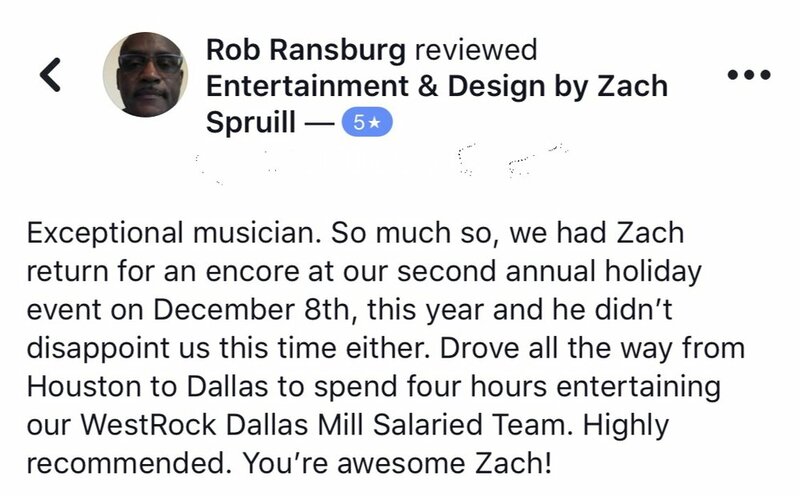 I strive to give my clients a 5-Star experience every single time. I make sure communication is easy, your booking experience is stress free, and your guests enjoy the evening or your money back. Check out the reviews above. Are you more interested in a DJ instead of live jazz? Or perhaps a little of both? Not a problem! Sometimes clients opt for jazz during dinner followed by DJ for dancing. Sometimes good music playing throughout the evening and an emcee to keep the festivities on track is all you need. Whatever the case, I can provide you either service or a combination of the two.